One element could come to delay the expedition's departure: last year, fuel had been stockpiled (and had cost the expedition a lot of money) on the coast of the New Siberia Islands. Without that, the MI8 would not have been able to make the Tiksi-New Siberia trip and back. However, Hubert has just learnt that the said stockpile had been stolen during the winter! 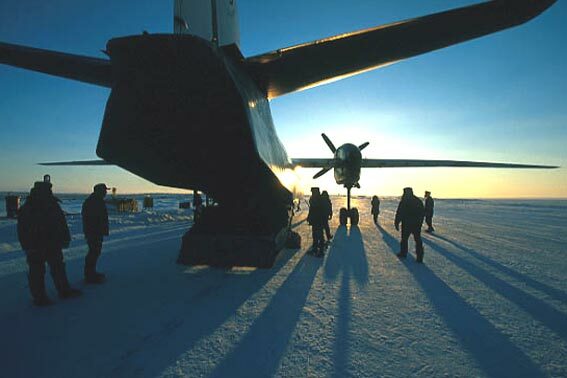 Here, the Antonov makes a stopover in Doudinga, Siberia.